Names like Mackenzie and Brody are becoming all the rage among certain American populations. Surnames have traditionally been used as first names in English-speaking countries for centuries now. You may want to dig into your family tree to find a suitable surname you'd like to use. If not, here is a list of surnames that would sound particularly nice as first names. Most Scottish surnames are derived from either personal names or from place names. Many of the place names are in France, Belgium, or other places where names emigrated from. 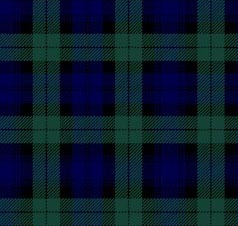 You can also click here for a list of the Most popular surnames in Scotland if you'd like more ideas. Brodie Brothaigh derived from the Dutch word for "brother." Forbes Foirbeis from a place name meaning "field" or "tract of ground"
Gordon from a place name, meaning 'hill fort"
Kerr Cearr, Mac Ghillechearr from an Old Norse word-- a name for someone who lived near wet ground covered by brushwood. MacCallen ? possibly, son of Ailean?